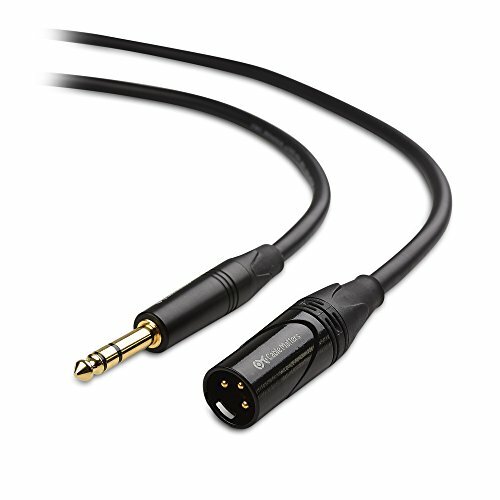 The Cable Matters 6.35mm TRS to XLR Cable is the sensible choice for carrying balanced audio for professional audio equipments with TRS and XLR connectors. This full-featured cable has a soft PVC jacket for easy use and storage. Sturdy metal connectors have gold-plated contacts to reduce oxidation and reinforcing screws on the XLR connector to maintain cable integrity. Heavy gauge 20 AWG oxygen-free copper conductors are encased in bare copper braid shielding to provide pure sound that is noise free.